WineCollective’s Deerfield exclusive, the ‘One’! We have no one else that we need to thank more than our loyal and passionate WineCollective members. It is because of the support of many that we are able to bring you wines like the WineCollective – Deerfield ‘One’. Over the past six years, we’ve shipped tens of thousands of packages and hundreds of thousands of bottles of wine. This month, we are proud to announce the first wine in a series of uniquely curated WineCollective wines. The WineCollective ‘One’ is a special collaboration with Deerfield Ranch Winery. We tested samples from the winery and selected, what we thought, is the best of the best! We have been fans of Deerfield from the beginning. We first featured Deerfield in WineCollective, way back in 2009! The 2003 Meritage was one of the first wines to be showcased in our Indulgence package. Later, in October 2010, we also featured the 2003 Ladi’s Vineyard Syrah. This is now our third Deerfield wine and we are thrilled to be sharing it with you! 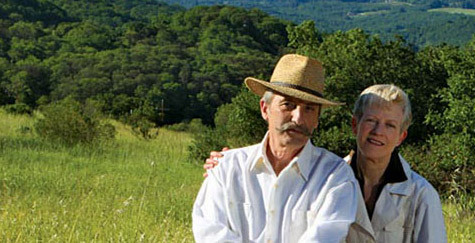 Deerfield is located in the center of Sonoma Valley within the larger region of Sonoma County. Sonoma Valley is on the western side of the Mayacamas Mountains, which separates the AVA from Napa Valley to the east. 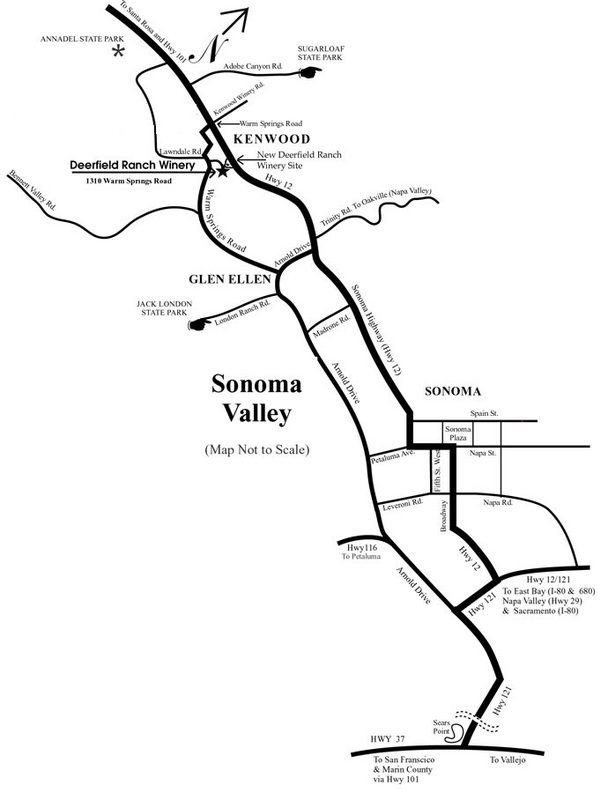 Sonoma Valley stretches from the south eastern edge of Sonoma County, north to Santa Rosa. Further north of Santa Rosa is the northern AVA’s of Sonoma County’s Russian River and Alexander Valley. Deerfield‘s vineyards are also home to the Kenwood Marsh. In 2000, an additional 47 acres were purchased to expand the the Deerfield winery and vineyards. 14 acres of the new property are the remains of the Kenwood Marsh, a wetlands ecosystem. The Rex’s are passionate about conservation and work diligently to help maintain and support this valuable piece of Sonoma landscape. The picture above, a portrait by Fred Parker, is a view from the Deerfield winery. This print, along with others are sold with portions of the proceeds dedicatated to the efforts of sustaining the Kenwood Marsh. Over the years, we have been fortunate enough to meet both Robert and PJ Rex. They frequent the Calgary market, as they have received great support of their wines across Alberta. We have also made a stop to the winery in Sonoma. Robert graciously tasted through the recent vintages and blends, helping Matthew to select the perfect wine for WineCollective. The WineCollective-Deerfield ‘One’ is featured in many of our April packages. We have extremely limited supply of the ‘One’ and once it is sold-out it is gone! Be sure to visit the WineCollective members-only store to purchase more, or visit Highfield by WineCollective in Calgary. And stay tuned for the WineCollective ‘Two’! Give Mom what she needs, wine!